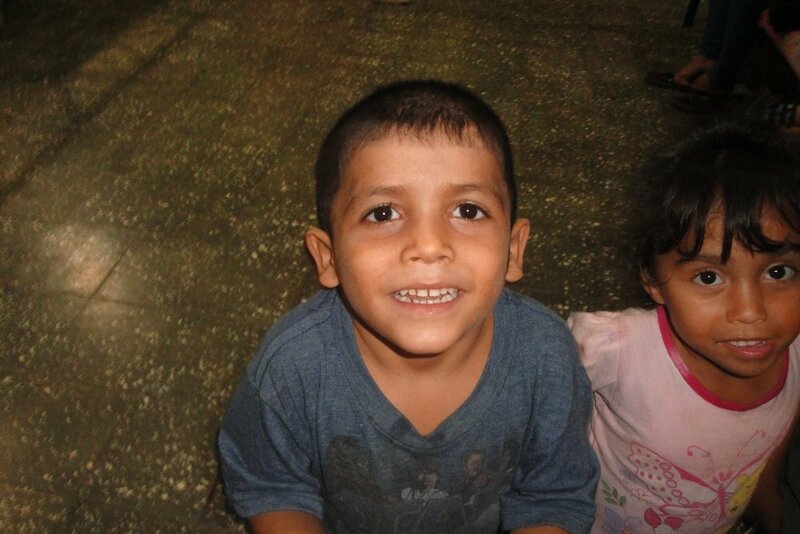 Fabian* is an energetic and adventurous boy who is full of surprises. 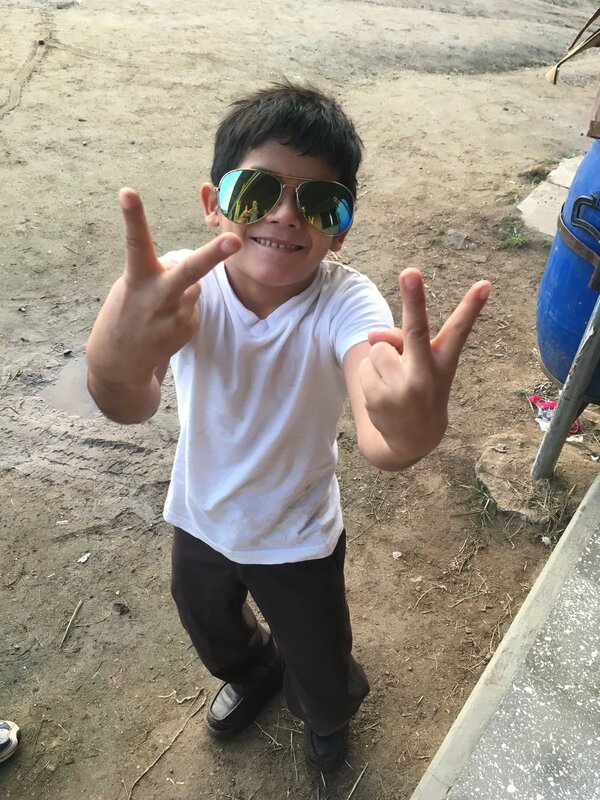 When he first arrived at Amigos de Jesús he was slow to adjust but with love, care, and a healthy life he is thriving. Fabian can most often be found exploring our grounds or spending time with his beloved 'madrinas' and 'padrinos.' He constantly surpasses our expectations and we love him for it! What is your favorite part about school? Playing soccer during gym class. Do you have siblings here at Amigos? How many? I have two sisters. I also have two cousins here. What are you grateful for at Amigos de Jesús? To be able to play. What is your favorite part of Amigos de Jesús? Agro. Who is your favorite person at the 'hogar'? Padrino Wilson. If you could have any super power, what would it be? Fly to the moon in a rocket. If you could ask God any question, what would you ask Him? I'd tell him thank you for this hogar. If you could only eat one food for the rest of your life, what would it be? Chinese rice and chicken fingers. What is something your 'padrinos' and 'madrinas' always tell you? To wash my plate and shower. What makes you happy? Being free. What's the best gift you've ever been given? Toy cars. What's the hardest part about being a kid? Being a little baby. Posing with a friend on Christmas Day 2017. 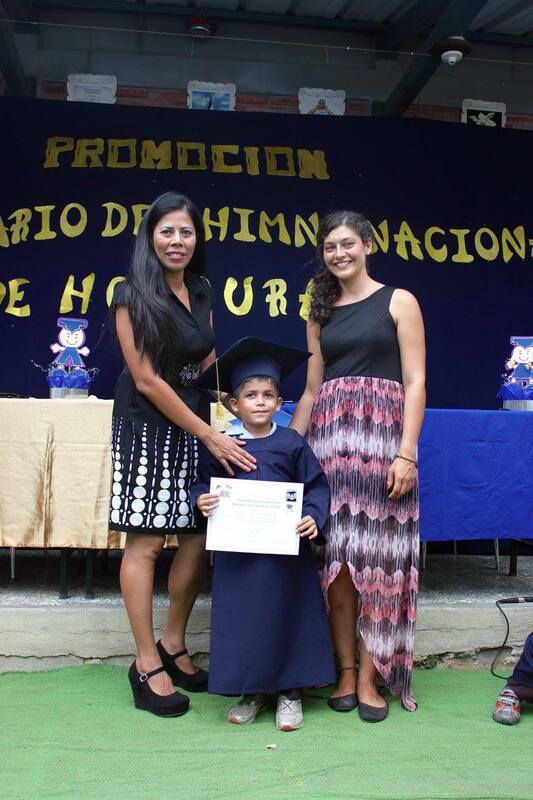 Fabian with his two teachers at his graduation from 'Prepa' (Kindergarten) in 2016. Fabian, pictured third from the right, with his 'Kinder' (preschool) classmates and teacher in 2015. Fabian in 2014. Look how much he's grown! Taking a ride on the only horse we have at the 'hogar' this past weekend!